Lovely sweaters in Valley Yarns Northfield. 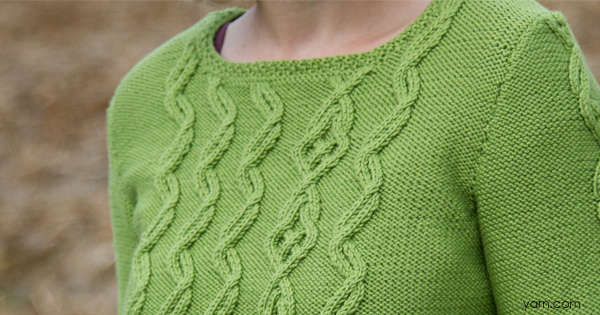 My personal favorite, Valley Yarns Northfield, is featured in two, beautiful new sweater patterns this month! 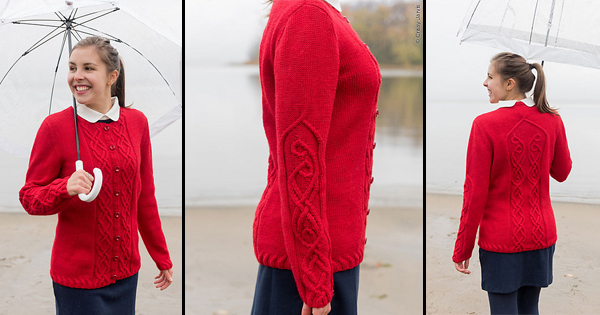 Cranston, designed by Fiona Ellis for Twist Collective Winter 2016 features Celtic Knotwork inspired cables in a rich, classic red with timeless styling and shaping. A true wardrobe staple! And from knit.wear Wool Studio 2016: A Winter Pattern Collection, Linda Marveng has designed the Brewster Cardigan to be a stylish, but comfy cardigan with beautiful cable details and a fun construction with optional pockets. The blend of merino, baby alpaca, and silk in this yarn shows off texture and cable stitches beautifully while staying squishy and soft. When it’s’ sweater season and there are beautiful patterns like these to choose from there really is no reason not to stock up on Valley Yarns Northfield and cast on! New Designs for Valley Yarns Northfield! With the last days of summer fast approaching and school starting again it’s time to begin thinking about knits for the cooler weather. Our two newest designs feature Valley Yarns Northfield, my favorite yarn! Not only does the blend of Merino, Baby Alpaca and Silk create an incredibly soft and bouncy yarn with a gorgeous sheen, but it’s also incredibly affordable! 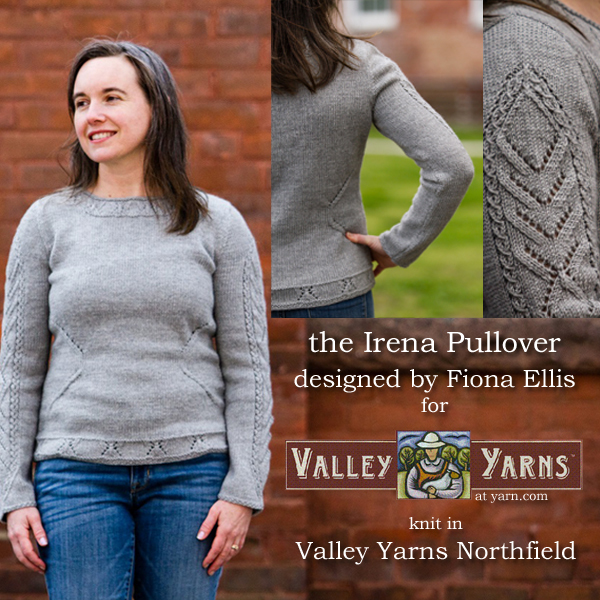 Fiona’s latest design for Valley Yarns is the Irena Pullover with stunningly simple cable and eyelet details at the neck, hem and on the sleeves. 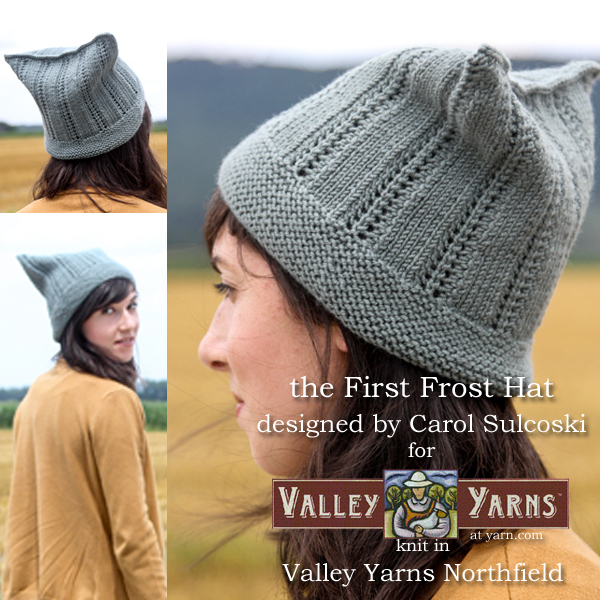 And Carol’s whimsical First Frost Hat may just be the perfect first lace project! With a full range of rich colors of Northfield to choose from your biggest decision may not be which project to cast on for first, but which color to use! Color, especially when it’s related to clothing, is fascinating to me. It is a powerful thing, triggering emotional responses in all of us. Each color creates a mood or feeling, can demonstrate the personally behind the wearer and evoke memories. I have been researching color for a while for a series of articles I have written for Twist Collective. So when I came to choose the shade for my final Designer in Residence pattern I knew I should pick something that said WOW! So it had to be Red. Red evokes emotions ranging from passion and power to rage and romance. 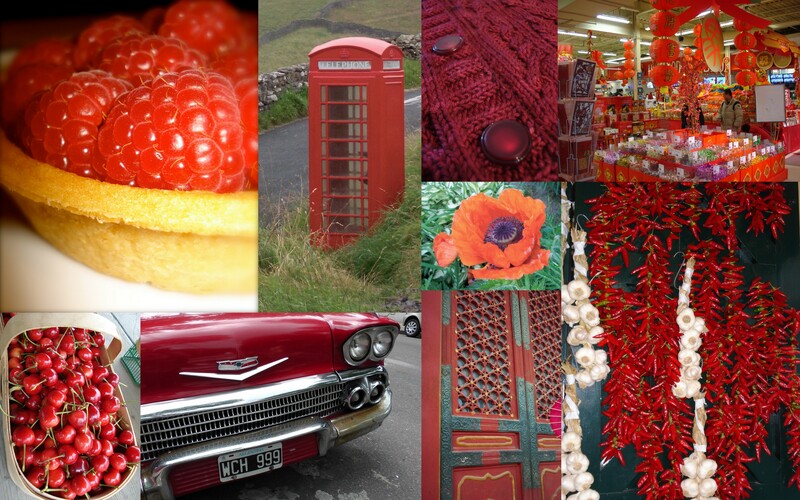 Viewing red increases blood pressure, pulse and heart rates, and even stimulates appetite. These physical reactions may be why we associate red with activity. But red is also considered seductive…think of lipstick & blush colors. Being the shortest wavelength on the spectrum, red is the first color the eye sees, making it attention- grabbing— the reason that it is used for warning signs. Our learned emotional responses to red are equally varied. Red can signify a mark of honor (think red carpet), we “see red” when we’re angry, are “in the red” when business is bad, and are “caught red handed” (originally a reference to blood on the hands) when guilty. “Red herrings” divert our attention and we “paint the town red” when we let loose after a long workweek (the origins of that particular phrase are a source of debate). pictured left to right: Red Letter Day, Athasca, Sugarbeach and Paula all in Valley Yarns available in spectacular reds! In naming this design I thought about how red is also linked to special occasions…my year as WEBS Designer in Residence has had, of course, many special days. Red letter days are so called because important festivals, holidays, and saints’ days were inked in red on medieval church calendars. So while I have your attention may I ask you to join me over on my website. 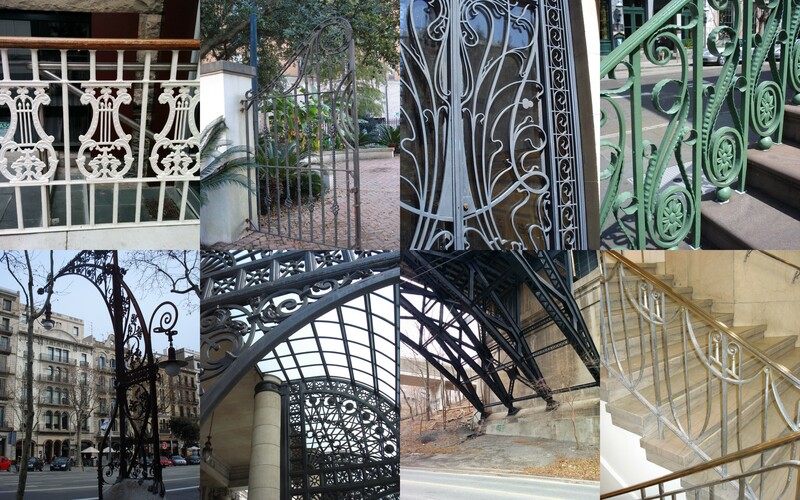 I post a piece on the 9th of each month where I chat about design ideas and inspirations along with photos of what is fascinating me, I call it On-line, On-nine. Thanks for following my wonderful year at WEBS! 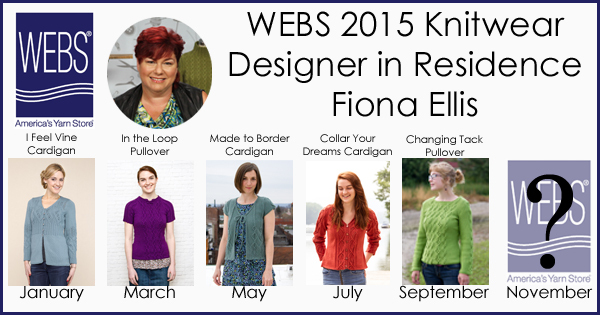 This week Kathy talks with WEBS 2015 Knitwear Designer in Residence, Fiona Ellis. 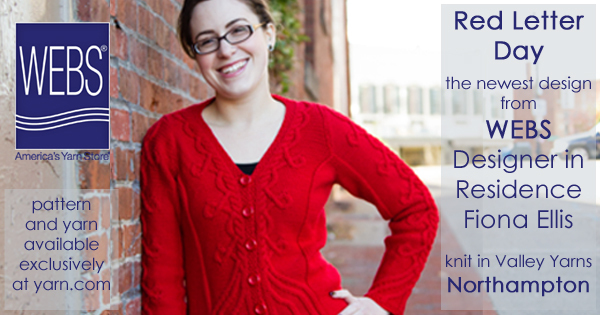 Her last design for the year is the Red Letter Day cardigan knit in Valley Yarns Northampton. 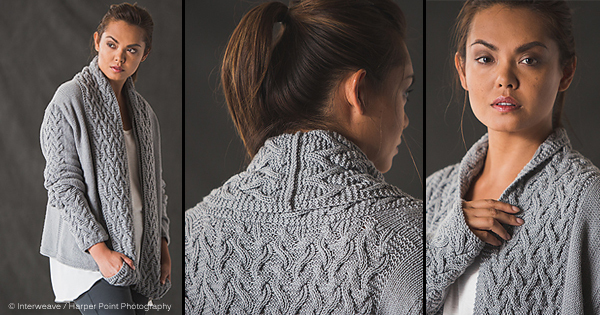 This detailed cardigan features morphing cables and subtle feminine shaping, a theme common in most of the designs Fiona created for WEBS this year. 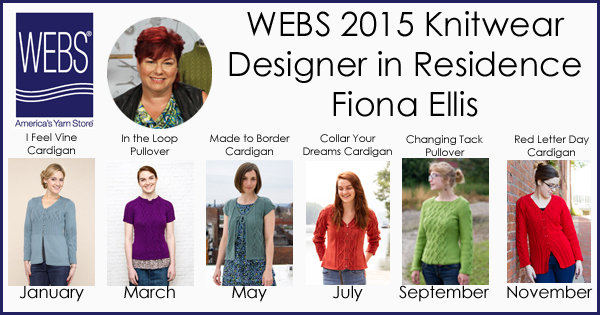 Learn about all of Fiona’s designs and where she finds inspiration. Our 2015 Holiday Catalog is available to browse online now and should be arriving in mailboxes this week! We have a limited number of Schacht Looms available in cherry, snap these up before they’re gone! Steve no longer has a Deal of the Day but your can check out the Deals of the Week. A new Deal starts every Tuesday, check the Sale tab on our website. Northampton Bag Day is happening Nov. 21st this year. WEBS will be closed Thursday, November 26th in observance of Thanksgiving Day. WEBS employees are once again walking and running in the Hot Chocolate Run for Safe Passage On December 6th. We’re all working to raise money for our favorite community organization and you can help! You can make a donation to any employee, or to the whole team, here. Every dollar will be matched by Steve and Kathy so your donation will do twice as much good! Make a donation to Team WEBS now. WEBS will be open Sundays 12-5 beginning November 22, through December 20. 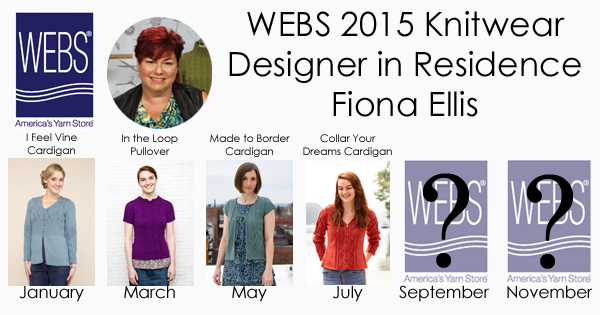 We’ve reached the last big reveal for our 2015 WEBS Knitting Designer in Residence Fiona Ellis, The Red Letter Day cardigan. Knit in Valley Yarns Northampton, in a classic holiday Red, this sweater features ribbing in the lower section of the body that slowly morphs into a panel of cables that include magical-looking closed loops, reminiscent of Celtic knot patterning. With over 3 dozen colors of Northampton to choose from you’ll have no trouble finding just the right shade for you. The slightly flared cuffs and lower body ribbing give Red Letter Day a very feminine shape. The featured cable panel from the back and sleeves is divided in half to flank the center front opening so it can join back together when buttoned, and move effortlessly upward around the V-neck shaping. This cardigan goes to great lengths for style, but you don’t have to! 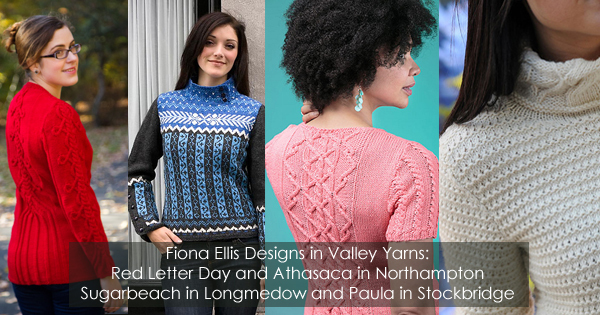 Choose from any one of the 6 sweaters that Fiona has designed for us this year and you’ll be knitting your way to a stylish and comfortable sweater that’s all your own! Which design has been your favorite? 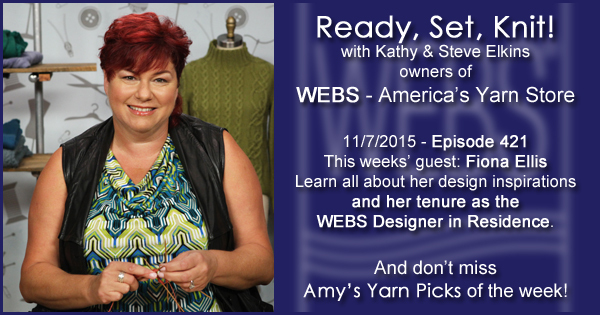 WEBS Holiday 2015 eCatalog is here! The holiday gift preparation doesn’t really begin for me until my copy of the WEBS Holiday catalog arrives, and this year’s edition is spectacular! 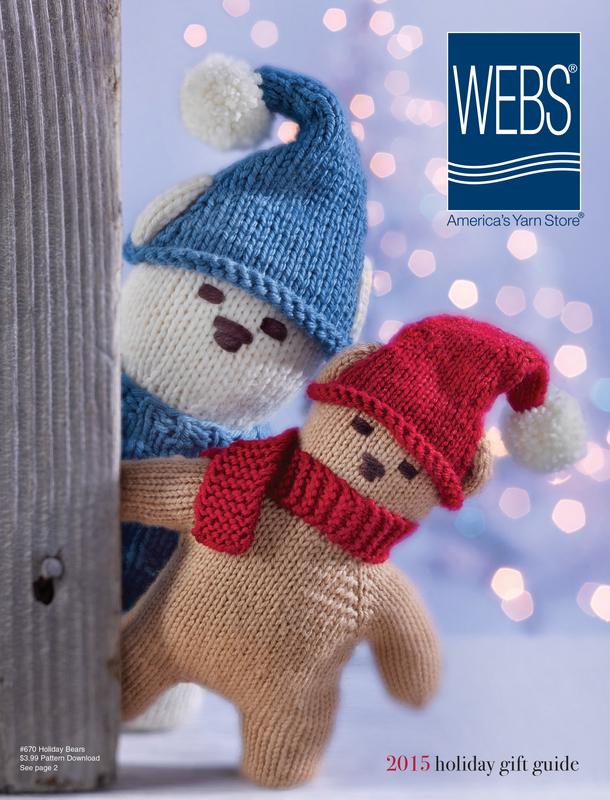 Not only is there an adorable Holiday Bears duo on the cover, with perfect little sweaters and hats to knit and personalize them with (keep an eye on the blog for an upcoming KAL), but the pages are full of so many new knit and crochet patterns that are inspiring me to get yarn on my hooks and needles. New patterns from Doris Chan and Fiona Ellis from the WEBS Designer in Residence series, the new Got You Covered eBook from Emerging Designer Marcy Vandale, and over a dozen New Valley Yarns patterns. Gorgeous gradient yarns sets from Wonderland Yarns, kits from the CREATE YOUR STYLE collection (a collaboration between Rowan Yarns and Swaraovski! ), holiday ornament kits from Laura Nelkin, and the Royal Petites from Blue Sky Alpacas. 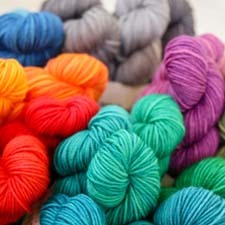 New yarns from Amano, Classic Elite and more! I’ve started a list of what I’d like to make and I’m gathering supplies so I can get started. 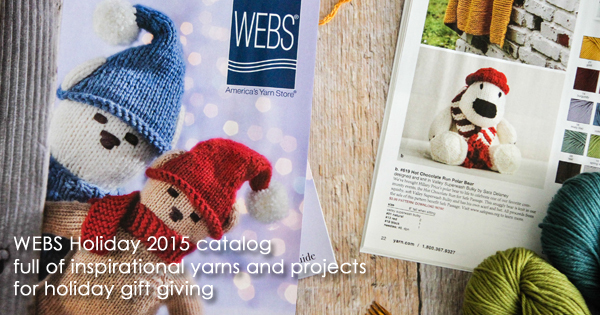 What will be the first project you cast on for from this year’s Holiday catalog? And don’t worry! If you’re waiting for the paper catalog to arrive in your mailboxes they’re just starting to ship and should be there within the next 2 weeks. If you don’t yet receive our catalogs but would like to you can sign up right here! 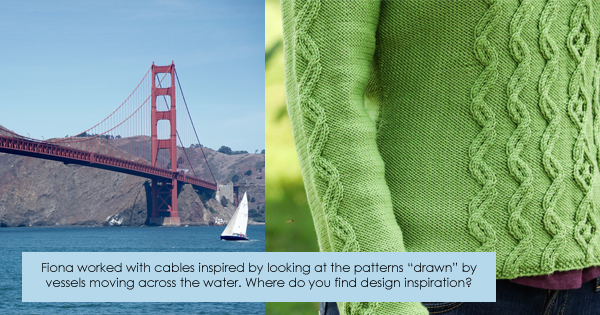 For the blog post this month I’m not going to be exactly “changing tack” but hoping to show you another way that I look at the lines formed by cables. If you have read my blog posts in previous months then you already know about my photo collection. This month I want to show you some photos that I have taken which I think show how a simple line or lines can become really interesting. 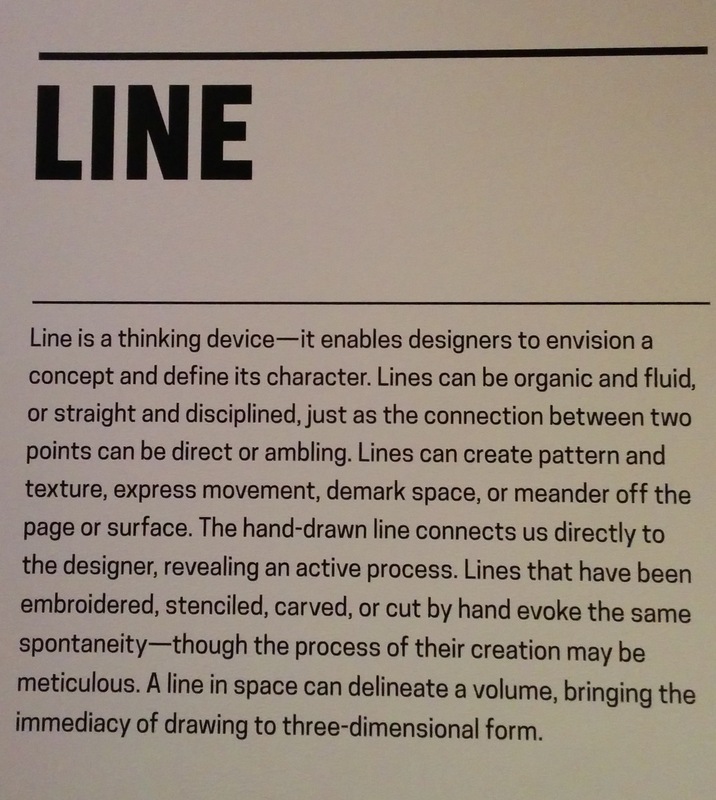 Firstly here is a definition of how line is seen as a design principle- taken from an exhibition at the Cooper Hewitt Museum that I saw earlier this year. When I spot an example of interesting lines I try to move around the subject and take several photos from different angles trying to get shots that play with the way that the lines interact with each other. Here are just a few of them. 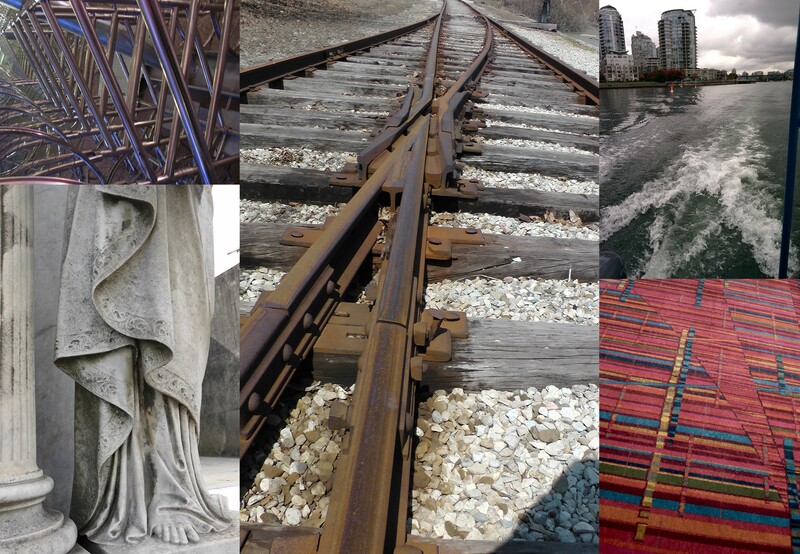 Do you notice that the carpet pattern (bottom right) combines some of the same combinations of lines as the railway tracks? (by the way it was a dis-used track- I don’t want you to think I was risking my safety to get the shot). The photo in the top left corner is about parallel lines, I love how the spacing between each changes throughout the image. Spending some time out in Vancouver by the ocean I started looking at the patterns “drawn” by vessels moving across the water. Now I must admit these observations didn’t become much more than a kernel of an idea. So rather than coming up with my own cable pattern, or re-inventing the wheel, I went back to one of my all time favourite already established cables. This is the smaller one used in Changing Tack. I love how this one zigs back & forth with each cord moving at a slightly different speed to allow them to cross over each other. It reminds me of watching a yacht tack into the wind. Not moving in a straight direct line from A to B, but zig-zaging, all the while aiming towards a specific point. This is where this sweater got its name. If you have been following my work you will know that I love asymmetry. I know that it doesn’t appeal to everybody and that in some people it can cause him or her to shudder – I’ve seen it happen. But I couldn’t let my year as Designer in Residence go by without including an asymmetric design. So I decided that it needed to be an exercise in subtle asymmetry, one that might even tempt those lovers of symmetry. Changing Tack has the patterning arranged so that an even number of small cables is divided, but not in half (symmetrically), rather three placed on once side of the larger cable and just one on the other side. Then I played with the larger cable, changing another tired and true pattern, changing it so that it is no longer symmetrical about the horizontal axis, the upper section does not mirror what happens in the previous rows. I hope that these playful tweaks give just the air of asymmetry without being wildly so. By the way if even this challenges your love of pure symmetry you can always work the pattern by placing two small cables either side of the larger one and mirroring the lower (or upper) section of the larger cable. I can’t wait to show you what I’m working on for the November pattern release! September always seems to sneak up on you. The last heatwave of August rolls right into the first frosts of autumn. To celebrate the changing of the seasons why not knit Changing Tack, the newest pattern from our Designer in Residence, Fiona Ellis. The Valley Yarns Brimfield is a gorgeous blend of extrafine merino and silk with a shine you won’t believe. Be adventurous and use the peridot color in the sample or try one of a dozen other shades. Changing Tack is a perfect between-season sweater, inspired by traditional cabled sweaters but with a modern twist. The pattern placement and repeats are set asymmetrically on the figure-flattering silhouette to give an updated look. The slightly flared sleeves add to the feminine appeal. Knitting with Valley Yarns Brimfield takes this pullover to the next level with gorgeous stitch definition and a wonderful sheen from the silk. Five gorgeous patterns already this year. Where does the time go?! 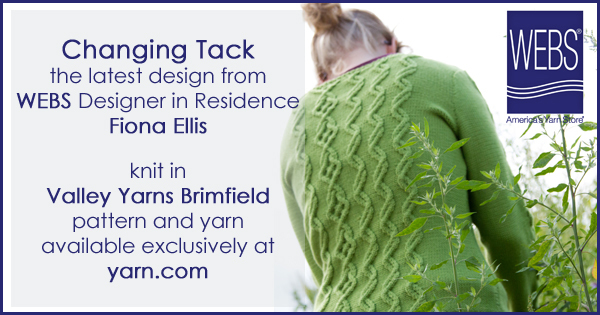 You have just enough time to knit Changing Tack before we reveal the final design from Fiona in this Series. Which design has been your favorite? My goodness half of my Designer in Residence year is over and my fourth pattern was just launched! So I just did a quick review of what I’ve chatted with you about over the past few months; geometry, the humble I-cord and Morphing Cables. I guess it’s time I talked a little about how I find my inspiration. The best way I have found of generation my ideas is by taking photographs. Back on Sept 1st 2007 BI – that is “Before Instagram” (I can hardly believe it), I committed to taking photos to illustrate my journals. Up until that point my photo taking was more haphazard, but from that day on I have tried (and mostly succeeded) in taking a photo every single day. This kind of practice helps you develop a more artistic view of the, mostly mundane, everyday things that surround us. Or put another way it forces you to look at things that you see all the time (and mostly overlook) in a new light. As you can imagine I have amassed quite the collection of photos over these past 8 years. And through this process my fascinations have become very apparent. I have become very aware of my re-occurring themes/sources of inspiration. 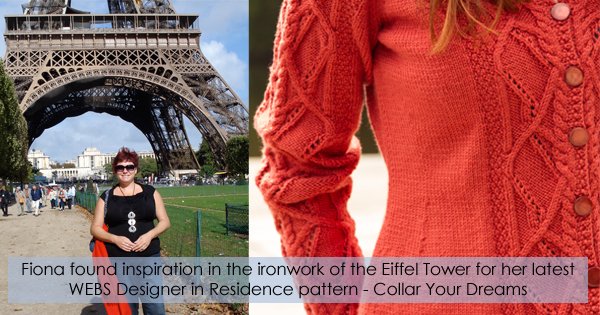 Collar Your Dreams springs from one of my favourites – ironwork, and more specifically the Eiffel Tower. OK you got me…the Eiffel Tower is hardly mundane and everyday, but the practice of looking at those objects transfers into my picture taking when I’m somewhere exotic like Paris. I’ve used ironwork as an inspiration source many times, but what is a little different with this design is that I wanted to incorporate the openwork feel that the tower, for me, epitomises. It’s not just about the lines, but the spaces in between the lines. There is almost a lightness or airiness to the structure,and that was what I wanted to try to capture. If you have ever been lucky enough to see it up close, maybe it has struck you as it did me, that when you walk around it each vantage point produces yet another beautiful curve or line with amazing geometric shapes nestled in between the main structural braces. So I placed arcs of eyelets holes between the cables, cables that I hope capture something of the graceful lines of this beautiful structure. If you are interested in hearing about my latest fascinations I would love for you to join me on my website on the 9th of each month when I post about what I’m currently finding inspiring. This month it’s all about my recent trip to the UK. Wow! July already and with all that glorious, hot summer weather, but before you know it a chill will settle into our evenings and the leaves will begin to change color as Autumn approaches. Once it does you’re going to wish you had a fantastic cardigan to ward of that cool weather. 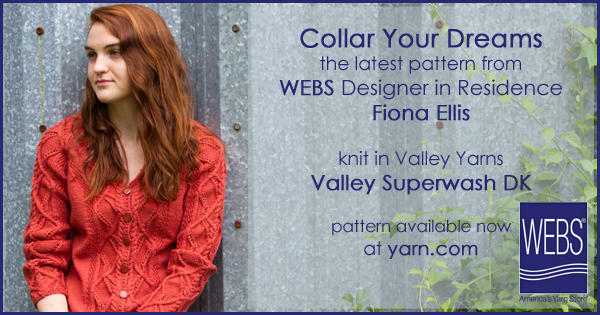 Fiona’s newest pattern as our Designer in Residence, Collar Your Dreams, may just be that perfect cardigan! The Collar Your Dreams cardigan is the experienced, or adventurous, cable knitters dream, intricate and fun with just enough challenge! The cables, that incorporate eyelet holes alongside the crosses, were inspired by iron work and form shapes reminiscent of the Eiffel Tower. This multi-season cardigan sports a shawl collar worked in short rows and elegant, feature waist shaping. Knit in Valley Yarns Valley Superwash DK, with over 20 colors to choose from this one is sure to become a favorite wardrobe staple! Which color will you choose?